We are a group of dedicated volunteers from ‘The Friends Of Blyth Tall Ship’ who are in the process of cataloguing many fascinating artefacts, photographs, documents and plans from the Port of Blyth’s own archives, many of which have never been seen by the public before. The collection has previously been inaccessible but our project, with kind permission of the Port of Blyth, is opening up the collection by cataloguing it and in some instances digitising elements of it. The Port was formally established in 1854 when the Blyth Harbour and Dock Company was formed with powers to develop the port and to levy dues and charges. However, there is a long history of trading in Blyth with the earliest recorded reference dating back to 1138 when the monks of Newminster Abbey near Morpeth, Northumberland, exported salt from the pans on the north side of the River Blyth. A public exhibition in the Port of Blyth Heritage Centre charts the history of the Port. We meet each week in the Commissioners Building, Blyth. Our work is on-going – we are adding new content to the catalogue each month. The Port of Blyth Heritage Centre is home to an exhibition that tells the story of the Port of Blyth. We supplement this exhibition with a series of temporary exhibitions that tell the story of different aspects of the history of the Port. 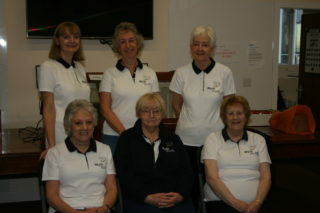 The Centre is open to visitors on any Tuesday that the volunteers are there. We welcome visitors to the Centre. We hope that you enjoy searching our catalogue and looking at some of the digital content that our project has produced. Our project is on-going. If you don’t find what you are looking for initially check again in a little while – we regularly add new content. We are also looking to add to our collections. If you have any records or artefacts relating to the Port of Blyth or to the wider maritime history of south-east Northumberland you may wish to consider donating them to our collection. If you have precious photographs that you’d like to retain we’d be pleased to have a conversation about borrowing the items, scanning them and returning them to you. Please note: Our volunteers are not always present at the Commissioners Building. We therefore ask that you contact us via heritagecentre@blythboathouse.co.uk to make an appointment to meet with us.